Kubernetes (k8s) is arguably one of the hottest technologies right now. Whether it’s building your own in the private cloud, leveraging vendor implementations to compliment your enterprise apps or consuming public cloud varieties like Amazon Web Service’s EKS – there’s no shortage of ways to deploy k8s. HobbitCloud utilises the private and public cloud for different workloads. 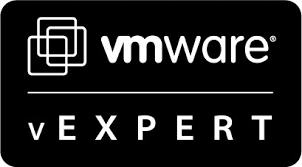 Our on-premises implementation uses Pivotal Container Service (PKS) together with VMware NSX-T to deploy complex workloads with powerful software-defined networking. However, occasionally developers need to spin-up k8s clusters in the cloud for close proximity to existing workloads, or for specific data location requirements. In order to save the requester time, it would be handy if these clusters could be deployed in the public cloud direct from our enterprise cloud management solution, vRealize Automation. This article shows you how to achieve just that with Microsoft Azure and Azure Kubernetes Service (AKS). To enable vRA to spin-up AKS clusters in Azure we will be using vRealize Orchestrator (vRO) and the REST API. We will break down the provisioning process into two parts. The first will deal with logging into Azure, the second with deploying the cluster. Login to vRO and switch to the Design tab at the top. Click the Actions tab and then create a new module. I will use com.hobbitcloud.azure.login. Create an action called createPostText and edit it. Save and close the action. Now we have our action, let’s create our workflow to bring it all together. The tenant ID can be found easily, either in the portal under Cost Management & Billing / My Subscriptions, or by logging into the Azure CLI. A client ID and secret needs to be generated in Azure Active Directory / App Registrations. I typically create one for each app that will integrate with Azure, eg. vRealize Automation, vRealize Business for Cloud etc. Once you have the client ID and secret make a note of them. The secret is shown only once. Enter the client ID, client secret and tenant ID values. Set the values of attResource to https://management.azure.com and attUrl to login.microsoftonline.com (the former starting with “https:”, the latter not). Create an output parameter called outToken and set it to type String. Click on the Schema tab and drag an action element onto the canvass. In the box that appears, type createPostText to select the action we previously built. A message will appear asking “Do you want to add the activity’s parameters as input/output to the current workflow?”. Cancel that and move down and select the Visual Binding tab. Here we will map the In Attributes to the In Parameters of the action. Finally, click Validate at the top to check for errors. If you get anything but a green bar and a message stating the workflow is valid, go back and try to find what you’ve missed. In part 2 of this series we will use our freshly created bearer token to authenticate against the Azure API and provision our Kubernetes cluster.